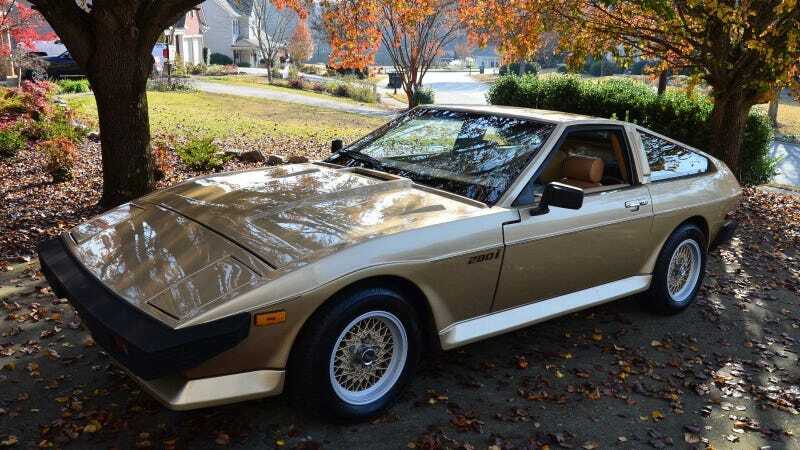 An eBay user in Powder Springs, Georgia managed to get their hands on a 1985 TVR 280i. Also known as the TVR Tasmin, this British sports car was made in really small batches and according to the seller, only seven 280s were ever sold in the United States. If that’s true, this is one ridiculously rare car. The 280i was part of the creatively named “Wedge” series and is powered by a slightly sad Ford Cologne V6. At $15,900, you certainly aren’t paying for speed. This TVR has only 13,000 miles on the clock and looks like it rolled off the assembly line. It warms my heart to see a rare and oddball car cared for like this. The car looks like someone cast an anemic sports coupe out of solid gold. That said, it’s in very good shape. The TVRs seller notes that the car has been tuned recently and all the mechanical bits have been checked out. Remember, this is a British sports car from the 1980s so there’s only so much that can be done. Form definitely takes priority over function. While I’m unsure if the price is where it should be, I don’t think we will see too many 280s for sale in the US or really anywhere else. I don’t know if that’s a good thing or not.